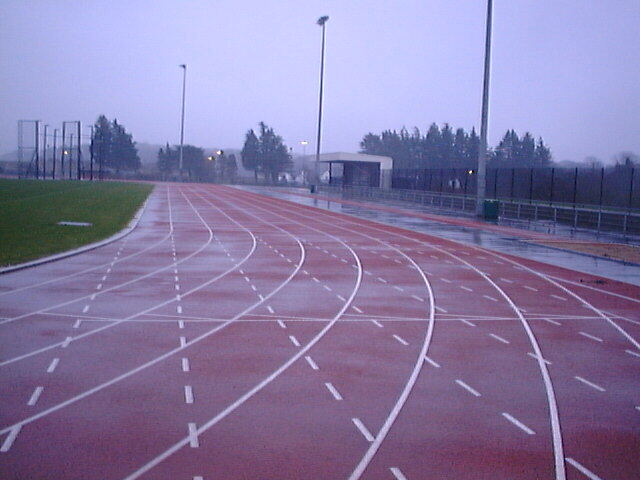 The track was due to open in 1998 and the NIAF had organised an opening event for August 1998 but the track, although originally completed in August 1996, had major problems with the surface due to it lifting, bubbling and being too hard. The original track surface was Spurtan V and was built by Cecil A. Haffrey & Son Ltd. This left the rather bizarre situation of a track which from a cursory glance looked OK not being used for several years. The track has now opened and the first meeting to be staged here was an open meeting on 2nd May 2001.